And here is the third and last item that BornPrettyStore sent me for review. This time I will be reviewing plate QA91. As with the last plate reviewed from BPS, this plate is also very well etched, the images are very easy to pick up and versatile. 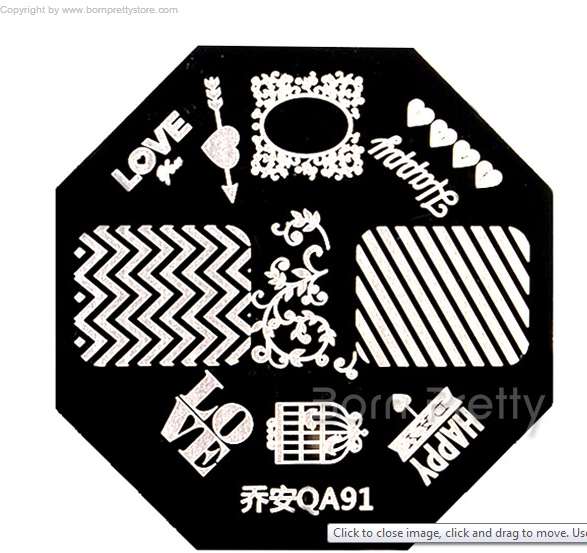 This feels like the perfect plate for Valentine’s day although it can be used all year round, and it has a great chevron desing which i’m sure i’ll be abusing! This manicure was done using the image right in the center, the base color is Wet n Wild Through the Grapevine, stamped with Sinful Colors Black on Black and topped off with a freehanded rose that happened entirely by accident while trying to learn the technique. 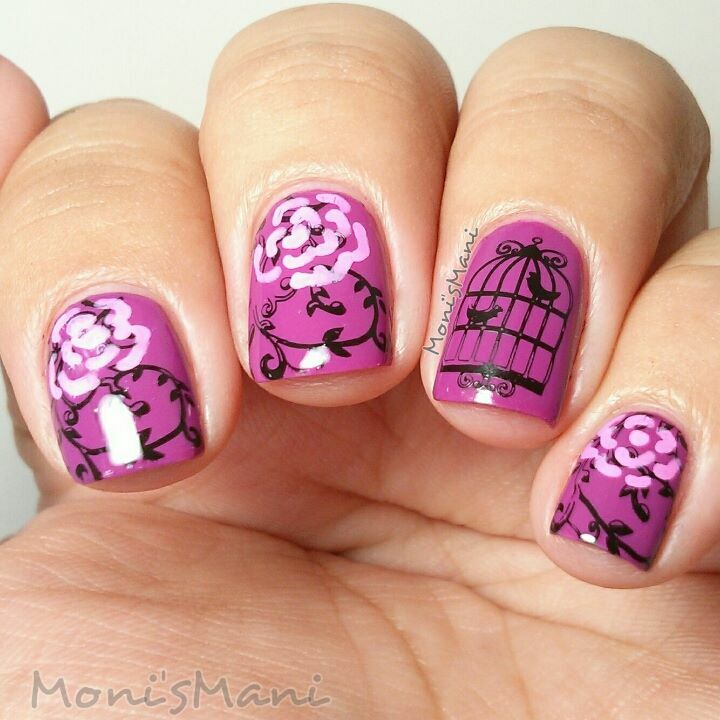 The accent nail was stamped with that adorable bird cage! Hope you like it! Please DO NOT FORGET to use our 10% code CAPX31 if you decide to pick this baby up! QA91 it is def worth it!